The Rural Municipality of North Shore brings together West Covehead, Covehead, Stanhope, Pleasant Grove and Grand Tracadie with historical roots going back two centuries and more. Founded on rich traditions of community organization, institution building, neighborliness and industry, the Community identifies with its productive land and sea resources and coastal setting and takes pride in its welcoming nature and hospitality. Situated between the PEI National Park and the Municipality of York to the North and East of Charlottetown, the Community has increasingly become a "bedroom community" for workers who commute to Charlottetown as well as a summer haven for Islanders and non-Islanders alike. North Shore has recently established a Criminal Records Check Policy for all staff and volunteers, please click here to review the policy applies to all current and future staff and volunteers. To keep your septic system healthy and free from problems or impacts on your water quality – pump your septic system every 3-5 years. Record above that you tested your system. We will keep a record and send a reminder to you at year three. 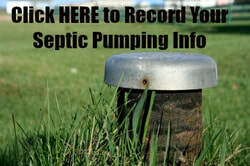 This helps ensure that the septic systems in our Community are being effectively maintained. Discount for North Shore Residents at MacCallum Sewer Septic Service (10% off) call 902-629-1212. KM Liquid Waste Removal (902-569-4305) or Thomson's Septic Service (902-566-2324). 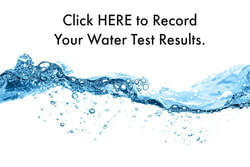 ​We encourage you to test your water for bacteria yearly and the chemical makeup of your water every 3 years. Pick up your water test kits at the North Shore Community Centre or PEI Analytical Laboratories. Deliver the cool, same day samples to PEI Analytical Laboratories at 23 Innovation Way, Charlottetown (off Upton Road, across from the Industrial Park) .